Look no further for the perfect preppy-chic gift for your bridesmaids. Stylish and functional, these canvas totes are perfect for holding all of their necessities on your wedding day and beyond. 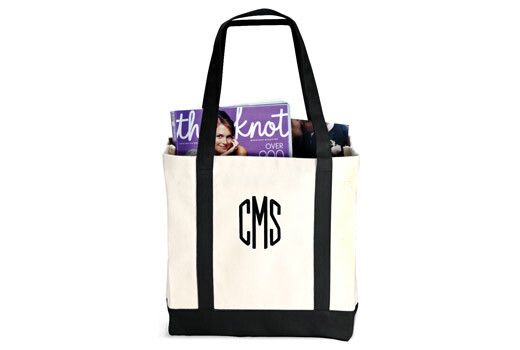 Personalize each tote with a name or monogram. Available in your choice of navy, green, royal blue, red, hot pink, brown, lavender, light blue, or black with matching straps and bottom panel. 11"h x 17"w.